I am so glad that PDAY is here again.. Yipee! Especially after only a little span of time. Enjoy it because next week I won`t be writing until Tuesday. Can you say changes? We should be getting changes on Sunday or Monday.. we shall see where it takes me. Hopefully I can explore a different place in Uruguay! We shall see.. that will be the fun surprise of next week! who is excited? I sure am. Things here in Cerro 8 have been improving. We were able to talk to a lot of people in the street again this week and we actually had a pretty neat experience with it. It all started when we had a few charlas fall through in a very short span of time.. we were left with talking to people in the street. We stopped this older man and began to chat with him.. he was atheist. (We have been running into a lot of aheists lately.. it`s so sad to see that people don`t believe in our loving Heavenly Father) As we walked with him for a few blocks, the conversation was going no where and he completely denied the restoration. Feeling a little down but not letting it get to us.. we began to walk down the same road that we were just on when we talked with the atheist. We walked past this woman outside of her house and of course we both said, "Buen día!" and continued walking. Just there, it hit me. This was all that was going on in my head "We have to talk to her. But... come on we just walked past her that is so awkward to go back. We will just keep walking.. plus what would Elder Naylor say?.. yeah we will just keep walking, there will be someone else. Just then, it hit me again.. "We have to talk to her" Just then, I knew that it was the Spirit talking to me.. telling me that she was going to listen and that we had to talk to her. I stopped walking and explained to Elder Naylor that we need to talk to her. We made the not so awkward walk back and told her that we felt that we should pass by. Her name is Yohana and we began to get into the Restoration. Elder Naylor taught it perfectly and I was able to testify of his words. We have a charla set up with her on Wednesday. I left the front yard of Yohana`s house with joy knowing that she needed our less than 5 minute lesson. I know that the Spirit guides us to the people who are ready to hear our message. I know that we never need feel discouraged when people reject us.. that is what Satan wants.. we must continue on with the determination to share our message of happiness and love. As for my own personal progress.. I would like to bear my testimony of The Book of Mormon. I reached 1 Nephi 17 just before getting on the computer. I am learning so much.. I know that The Book of Mormon is true. It is the perfect way to elevate your thoughts, feel of the Spirit and know that God loves you! President asked us to focus on the Atonement, Gathering of Israel, Doctrine of Christ and the Plan of Salvation. I would like to focus this testimony to the focus of the gathering of Israel. 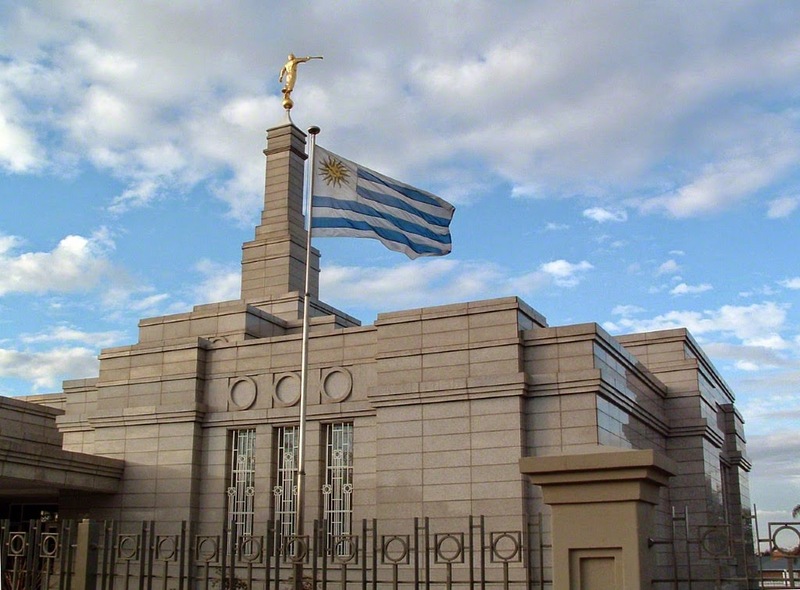 Just like the house of Israel.. the doctrine of the gathering is scattered in The Book of Mormon and we need to gather it together to have a full understanding of our respònsiblities as members of the church. I know that the gathering of Israel is happening today and that it is through us as gentiles(1 Nephi 15:13) to help others know of the restored gospel. I found 3 scriptures that I love.. I actually shared them yesterday in a little 4 minute talk that I had in church. They are found in 3 Nephi 5:24-26.. "24 And as surely as the Lord liveth, will he gather in from the four quarters of the earth all the remnant of the seed of Jacob,who are scattered abroad upon all the face of the earth." 25 "And as he hath covenanted with all the house of Jacob,even so shall the covenant wherewith he hath covenanted with the house of Jacob be fulfilled in his own due time, unto there storing all the house of Jacob unto the knowledge of the covenant that he hath covenanted with them." 26 "And then shall they know their Redeemer, who is Jesus Christ, the Son of God; and then shall they be gathered in from the four quarters of the earth unto their own lands, from whence they have been dispersed; yea, as the Lord liveth so shall it be. Amen." I bear testimony of that.. We need to help gather the house of Israel and that is my hope for you guys this week.. that you can share the gospel or God`s love with someone this week! Divisions with Elder De La Cruz... such a great guy! How are you all doing? This week went really good. The week itself didn't have too much to squawk about but Sunday made up for it. We did a lot of walking and not a whole lot of teaching but sometimes that is just how the cookie crumbles! Just gotta keep working hard no matter what happens and know that the Lord is with us. We have been trying to find some new people and we have talked to quite a bit, but nothing has come from it. I guess this area right now just needs to plant some seeds and hopefully some future Cerro 8 elders can reap from our work! If there is one thing that I have learned in my mission it is that patience is a virtue. I am not sure why my patience has been tested so much in my mission but for some reason the Lord wants me to be patient and I will do what he wants me to do. (Moses 5:6). Anyways.. the good stuff... the really good stuff! Sunday! We had a great turnout from our side of the area.. we had 8/8 on our progressing members and others that showed up for the first time in months. We may not have many investigators but we have been seeing the Lord's hand in the work with the less actives and the inactives. Pretty awesome! This week we got an email from President Smith asking us to start The Book of Mormon over again and to read it by the time next conference comes around. I was thinking.. whoa.. we are going to have to read a lot to get it all done by conference and I was talking to Naylor about it and we discussed how hard it was.. and then Elder Naylor quoted 1 Nephi 3:7 in Spanish.. We can do the things that the Lord has commanded us to do because He has prepared the way. What a great example.. I am so grateful for him! I got the package! Wahoo!! I am so grateful for the little notes that I had in there.. it is the stuff like that that I cherish. I was actually looking forward most to see who I got notes from. Cute little Kyndzi even got a note in there.. what a doll! Thank you for the things that were sent. The shoe laces were a need and I am stoked about the Utes shirt, Ties and the USB. Thank you for the goodies too.. I had completely forgotten about chocolate covered almonds.. yum! Elder Naylor also got a package.. so you could say we were two happy campers! I am grateful for the blessings that I receive daily and the little things. May you all share the gospel with one person this week is my hope. I love you all and hope you have a wonderful week! Love, Elder Taylor Abel.. a determined missionary! The cute little notes and I.. oh yeah.. GO UTES!! 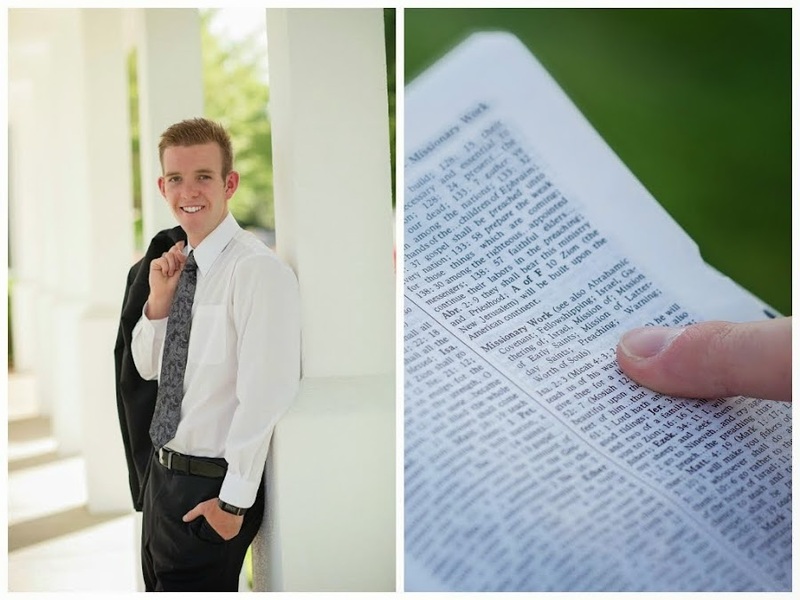 A missionary willing to do the Lord's will! This week went awesome! There was really nothing that important that happened but let's be honest, each week is awesome in its own way. Some weeks are a little more awesome than others but I really enjoyed this week. It could be just because of conference. What a beautiful 2 days of training. I learned so much and realized where work is definitely needed to improve. I really enjoyed listening to Elder Dale G. Renlund and was amazed at how humble he is. I loved what he said when he talked about the big calling that he just accepted this past Tuesday. It isn't about us in the callings it is about the Lord and His children. It isn't about me.. it is about the Lord and that is what I took out of this conference. It really doesn't matter about us and what we want because ultimately what is most important is what the Lord wants. I have had to check up on my life and think about the man that I want to be.. or the missionary that I want to be.. however, it is more important that I think about what the Lord wants me to be. It is like what President Smith taught us here last change.. our will has to be swallowed up by the will of the Father. It is only through that truth that we can be happy! God will make of us a masterpiece while we will only make of ourselves a smudge. Are you willing to do the will of Him who sent you? I promise you that there is love and joy waiting for you as you accept the Lord's will in your lives. Another conference favorite for me was that of Elder Richard J Maynes. I felt like I could totally connect to this story and I am sure that many of us could.. we all know how hard it is to make pots, bowls and plates out of clay on the spinning wheel.. may we all be able to do what he counseled us and center Christ in our lives. It won´t be easy and it won´t happen immediately but as you strive to put Christ closer and closer to the middle of your lives then you will feel that things will be easier.. you will be able to make those hard pots, bowls and plates with ease! As Elder Durrant counseled us.. we need to ponderize! May you all ponderize in your own way to make the Book of Mormon delicious. I know that all the talks were inspired and all the people who addressed us are called of God to help us as we try to reach our goal of exaltation. How blessed are we to have this opportunity twice a year. What talk touched your heart? Ana was able to make it to the conference as well and she seemed to really enjoy it. We didn't watch it with her due to the English room that we had but she told us as she was walking out that she is going to take much of what she learned with her. What an example of letting your light so shine! She shines as she learns more daily. I am so grateful for her and for her desires to be better! What happened as you watched conference? What did you feel? How are you going to strive to be better? I just want to end with my testimony that I know that the Lord's will is easier in the end... it may be so hard to accept the His will at times but we should decide today to find the way to find His will and allow it to swallow ours. I know that Elder Rasband, Elder Stevenson and Elder Renlund are called of God and that they will never lead us astray. I know that God lives and that He loves each and every single one of us! I know that if we study conference and the talks that we have heard that the Lord will bless us with the answers and things that we need! May we remember the things that we felt as conference! I love you all and hope that you have a wonderful week! Love, Elder Taylor Abel..... A missionary willing to do the Lord's will. English room with my boy Naylor. We were blessed to watch all 10 hours in the language we all love!